Newly Arrival Fabric Laundry Basket For: Clothes, Shelf, Pet Toy Storage, Towel Basket, Blankets, Decorations. Decorative Basket Ideal For Living Room, Bedroom, Craft Room, Play Room, Closet, Dorms, Laundry Room Or Even In The Hall Way. Neutral Color Can Match A Lot Of Home Styles - Keeping Your Home Nice And Tidy. Newly Arrival Fabric Laundry Basket For: Clothes, Shelf, Pet Toy Storage, Towel Basket, Blankets, Decorations. Decorative Basket Ideal For Living Room, Bedroom, Craft Room, Play Room, Closet, Dorms, Laundry Room Or Even In The Hall Way. Neutral Color Can Match A Lot Of Home Styles - Keeping Your Home Nice And Tidy. 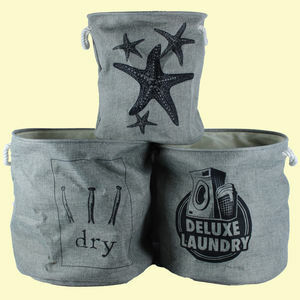 Unique multi utility storage basket in three different sizes. 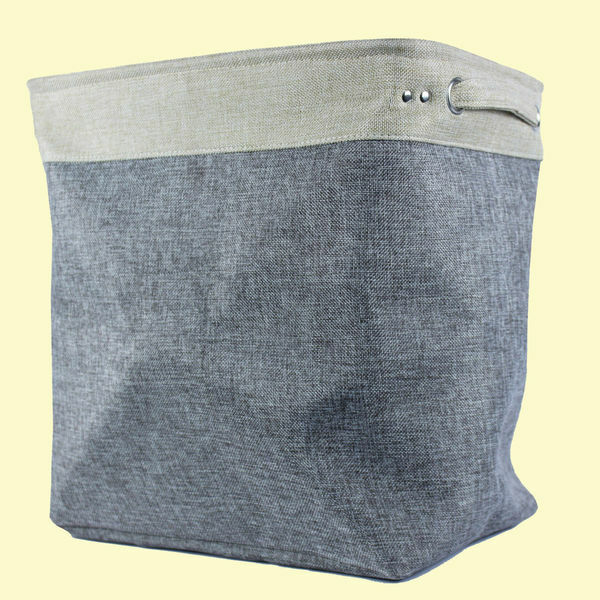 Can be used as Laundry Bag, toys storage basket for kids or for any of your home storage needs. Lightweight, yet sturdy and durable. Stands on its own without support. With a grey gingham fabric on the outside and plain grey fabric inside it looks simple and stylish in any home and complements grey interiors colour schemes. The quilting gives it a beautiful premium feel. Good product.It is exactly as shown in the picture. Go for it!Happy that we bought it!